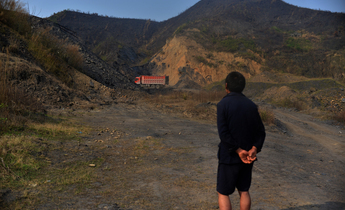 On the morning of March 18, shift manager Liu Yong pressed the button to halt Generator 4, bringing operations at Beijing’s last coal-fired power plant, Huaneng Beijing, to a halt. Huaneng was one of four such plants in the city. Beijing’s history of industrialisation began in the 1950s and was followed by the market reforms of the 1990s, the legacy of which was four major coal-fired plants supplying power and heat. After half a century of development, environmental pressures have forced their closure. On coming to power in 1949, China’s Communist Party had a plan to modernise industry, agriculture, national defence, and science and technology, which it implemented throughout the ’50s. The “Four Modernisations” became, in a very Socialist way, part of the official rhetoric; printed on factory walls, dormitory corridors and on the pages of schoolbooks. Today, China’s youth might not know much of that era. At the time, the country’s leaders set out to: “Build an independent, largely complete industrial system and civil economy approaching advanced international standards”. China was still an agricultural nation with no industrial base to speak of when the ambitious goal was set. To build this industrial base, China implemented its first Five-Year Plan between 1953 and 1957, which hinged upon the “156 Project”; a plan to build 156 heavy industrial projects with aid from the Soviet Union and other nations that would form the foundation of “New China”. Only one of those 156 projects was in Beijing; the Beijing Coal Power Plant, later to become the Guohua Beijing Coal Power Plant. This was New China’s first high-temperature, high-pressure combined heat and power plant and once an important supplier of energy services to the capital. 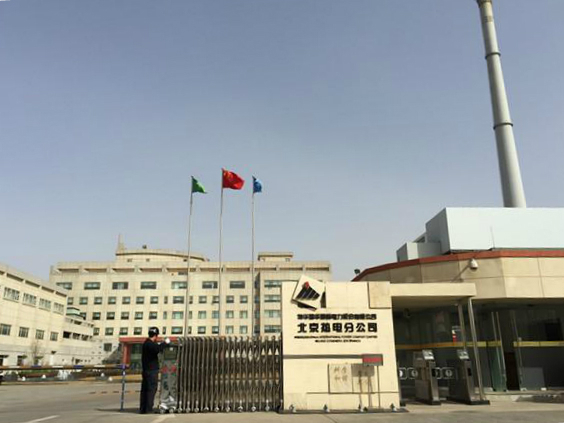 The Guohua plant had an installed capacity of 400 megawatts and could heat 21 million square metres of building area, enough energy to heat the homes of four million people. A prerequisite of economic growth is access to electricity. An important symbol of modernisation, electricity is also the basis of industrialisation and closely linked with urbanisation. Under the slogan of “Overtake the UK, chase the US”, China’s industry developed rapidly and demand for electricity in Beijing increased year-after-year, meaning power cuts grew more frequent. Figures from the national statistics authorities show that demand increased tenfold between 1949 and 1958 in the capital (from 82.45 million kWh to 787 million kWh). 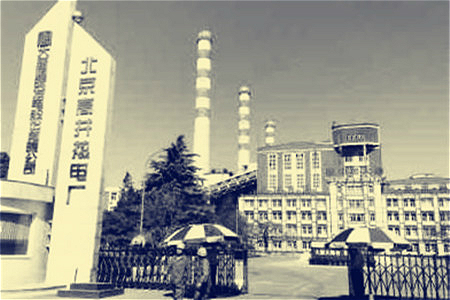 In 1959 work started on the Gaojing Power Plant in Shijingshan in the Western Hills area of Beijing. This was only completed fifteen years later, towards the end of the Cultural Revolution, with power generation capacity of 600 megawatts and heat for 12 million square metres. Add in the Beijing Energy plant (Jingneng) also in Shijingshan and completed in time for the 1990 Asian Games, and the Guohua and Huaneng plants already mentioned, and these composed the four main coal-fired power plants. By 2016 the city was using 102 billion kWh a year, 130 times the 790 million kWh of 1958. But behind those rising consumption figures lay large-scale coal burning and the release of pollutants. For a long time the lion’s share of Beijing’s, indeed all of China’s, electricity was generated from coal burning. From 1952 to 2012 thermal power provided over 80% of all electricity (95% of thermal power came from coal). 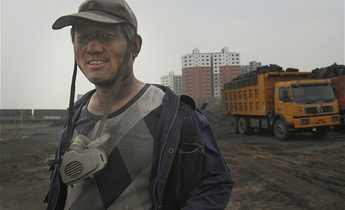 But for years now China has been trying to improve that structure and control investment in new coal-fired plants. 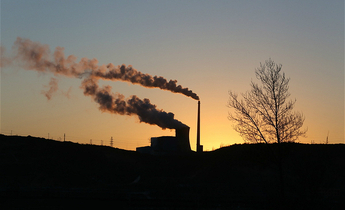 By 2015 thermal power accounted for 59% of total generating capacity – down from 90% in 1952. In 2001 Beijing was awarded the 2008 Olympic Games, and one of its aims was to hold a “Green Olympics”. The government sought to shed the image of Beijing as a city shrouded in noxious smoke. The authorities ordered reductions in coal burning and tightened emissions standards for coal-fired generators. The four coal-fired power stations underwent major upgrades to remove sulphur, nitrates and ash from their emissions. The results were noticeable. Better environmental awareness was therefore part of the Olympic legacy. 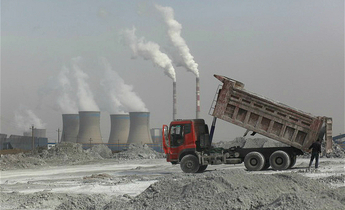 The year after the games Zhang Guobao, then deputy chair of the National Development and Reform Commission and head of the National Energy Administration, made clear that the coal power plant situated in the city centre was affecting development and emissions reduction efforts, and suggested they be converted to burn natural gas. A plan which at the time seemed unrealistic was gradually implemented. 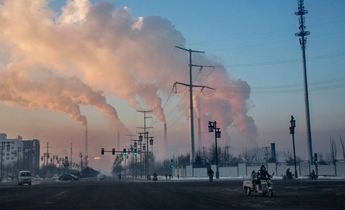 Coal was replaced with natural gas for power and heat generation in Beijing. Concerns and opposition came from both the business community and from within government. But as smog worsened environmental needs won out. From 2010 Beijing started to suffer more frequent and severe smog events. After the severe pollution of the winter of 2012, national efforts to deal with air pollution were accelerated. In the run up to the winter of 2013 the Beijing government published its Clean Air Action Plan: within five years coal would account for only 10% of all energy consumption in the city, with power and heat to come from natural gas, a cleaner source of energy. The four coal power plants were ordered to close and four gas-fired power hubs were constructed instead, one in each quarter of the city. The result of this is that Beijing has become less energy self-sufficient. By 2017, 70% of Beijing’s power is expected to come from outside of the city. 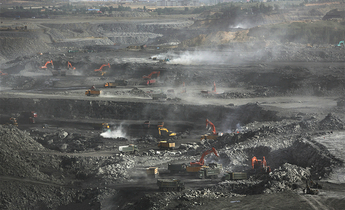 The extent to which Beijing has really bid farewell to coal depends then on how fast the surrounding provinces, upon which the capital now relies, can replace their power infrastructure and curb coal use.